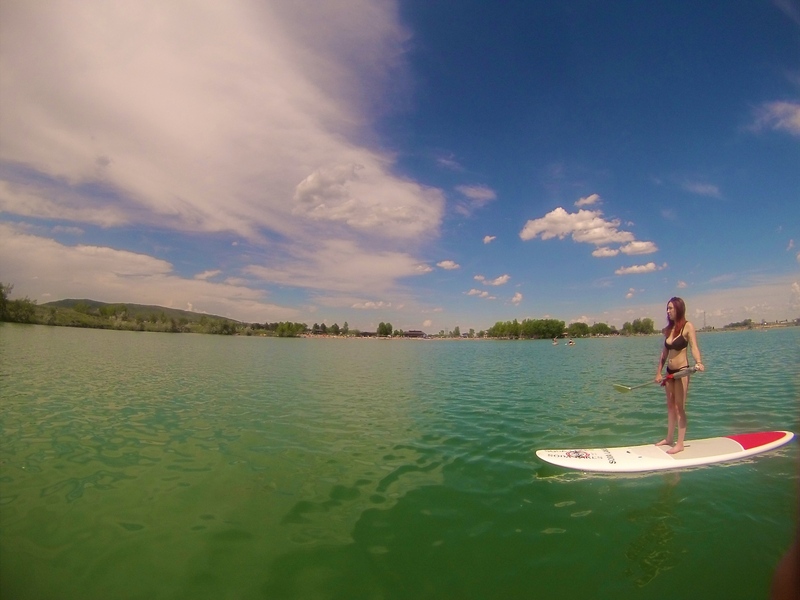 Bucket List Adventure: Stand-up Paddle Boarding in Colorado! Last month I turned 24, and in the spirit of trying new things every year, I decided I wanted to do something exciting that I’ve never done before. I had tons of adventures in my 23rd year of life–skydiving, hiking, zorbing, exploring movie sets, playing with tigers, communing with elephants, volunteering in Thailand and getting an up-close and personal introduction to Australian wildlife–and while I know that this year is going to be a little less exotic, I still want to do things that push me as a person, mentally and physically. Just because I’m not actively traveling at the moment doesn’t mean that my life can’t still be exciting and full of new adventures, and I’m determined to keep finding activities that will challenge me and push me out of my comfort zone. It didn’t take long for me to decide what my first adventure as a 24 year old would be: stand-up paddle boarding or SUP, for short. As a birthday present to myself, I bought a GoPro and decided to christen it on the day trip to Bear Creek Lake Park, which is about 35 minutes outside of Denver. My friend Erica was visiting from Massachusetts, so we headed out to the park in the early afternoon. Paddle board rentals are a little bit steeply priced there–$20 per hour–but the surroundings were gorgeous and our wait time wasn’t outrageously long. It was a Saturday, so it was slightly more crowded than it would probably be on a weekday, but the lake didn’t feel like it was absolutely overrun with people, which was a definite bonus! Actually finding the little lake where you rent the paddle boards can be a little bit tricky, but we figured it out after a few minutes and then went to the boat rental building and put our names in. The wait was about 20 minutes, which was slightly inconvenient but did give us time to reapply sunscreen and let it soak in before we headed out into the extra-strong Colorado sunshine! When we finally got the boards we were a little bit nervous about actually using them; loads of people around us were taking lessons, but we hadn’t bothered with that and were just winging it. To my surprise, stand-up paddle boarding is crazy easy! It takes a little while to figure out what strokes will push you in which direction, but the learning curve is pretty gentle and before long we were able to get ourselves moving, turning around, etc. We had tons of fun exploring the little lake and I think that this activity would be SUPER fun to do on a lazy river, especially while traveling. I’m definitely going to be seeking out SUP when I’m traveling in the future–I’d love to do it in Southeast Asia or in Hawaii! If you’re interested in trying SUP around the world, I’m going to include a few links to articles below that will give you a little bit more information on key destinations. 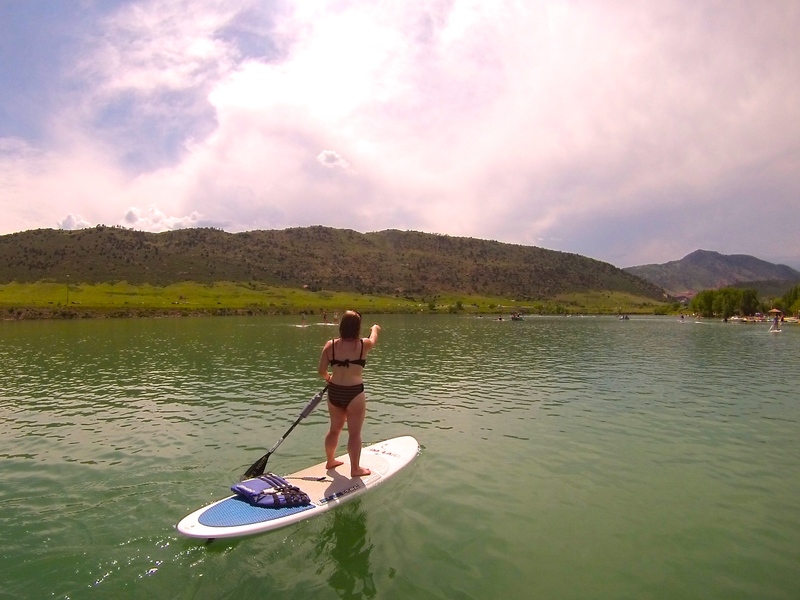 If you’re not sure you want to try it on vacation, I highly recommend trying to find places near your house to do it–state parks often also offer it, so be sure to do a quick google search for SUP locations near you! Value for Money: Average. There are other places where you can rent boards for $12 an hour instead of $20, and I’d say thats a much better value. Suitable for: Everyone! It doesn’t require much skill, and if you’re really nervous you can always take a lesson. Recommend: 100%! Its so much fun and I can’t wait to do it again. Extras: All photos in this article taken with a GoPro Hero3+ Silver Edition.